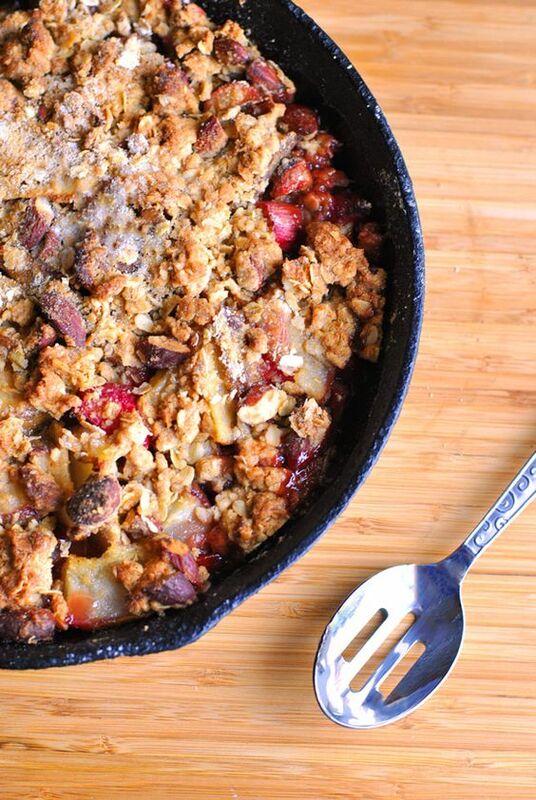 Time to get in a few crumble recipes while rhubarb is still in season! Did you know? Rhubarb is red in color and grows in stalks like like celery. The tart, but sweet flavored fruit is packed with Vitamin K and pairs well with other berries. If you are over 30, you should focus on getting more Calcium and Vitamin K, since you have officially obtained your peak bone mass. Take the necessary steps to avoid bone loss as early as possible. Your grandma self will thank you! Also, your kids and grandkids will appreciate it if you do your part to prevent Alzheimer’s. Vitamin K plays a vital role in the anti-aging process and is good for the brain. It’s not that hard when you’ve got tasty recipes like these to help you! If you like ginger, this is the recipe for you! Adding fresh ginger to your rhubarb crumble gives it some complexity and flair. We especially love the way this is presented in wide-mouth canning jars. Perfect portioning and easy for on-the-go picnics and outings. Check out A Couple Cooks for the full recipe and instructions. Talk about heart-healthy! 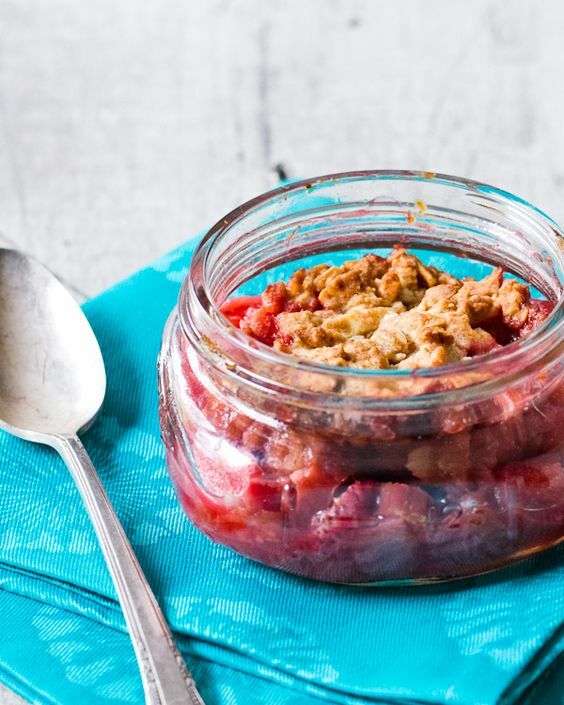 Rhubarb crumble recipes are generally low in calories and include oats, which helps with blood pressure. 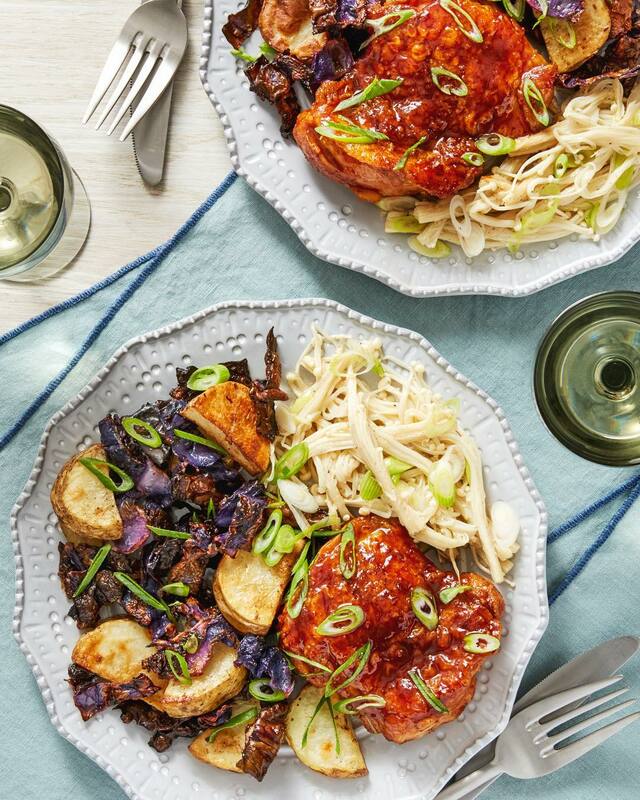 This recipe boasts only 263 calories per serving and is also very low-glycemic. The coconut sugar and flakes add a light, tropical dimension. Serve with à la mode for dessert or à la cart for a quick and tasty breakfast in the morning. Delicious warm or cold. Go to Cafe Delites for complete recipe and instructions. 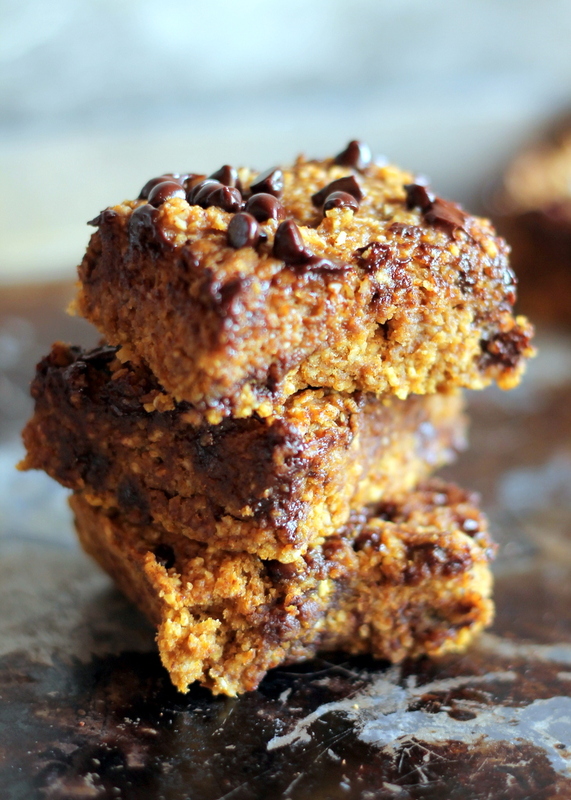 The only thing better than a crumble is a bar! 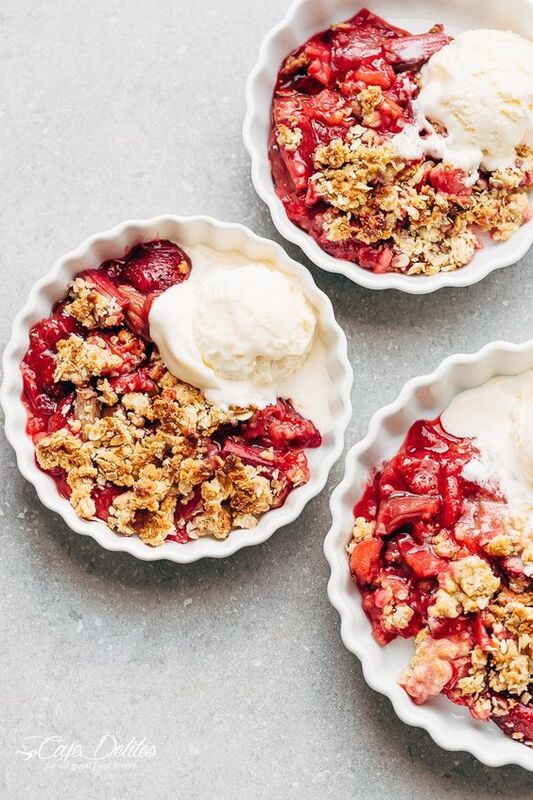 This rhubarb crumble recipe is gluten-free and dairy-free too. 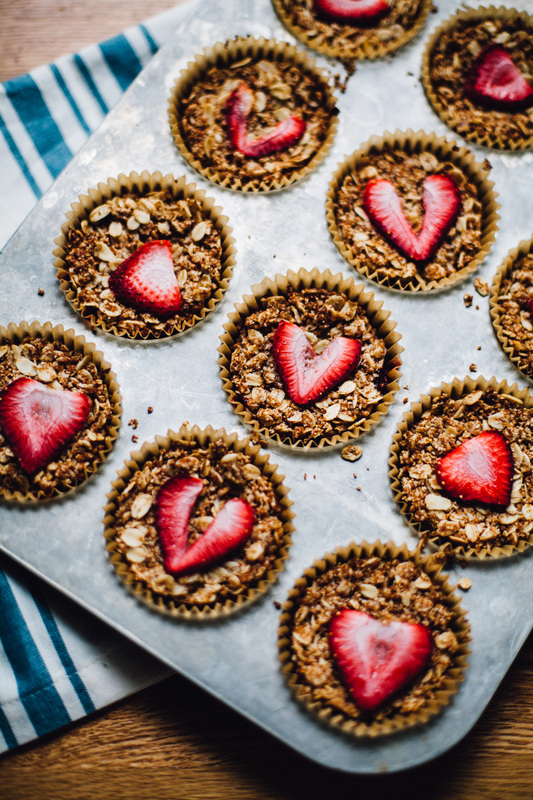 We love Kristine’s use of stevia and coconut oil to keep the sugar content to the berries only. If you’ve got these ingredients hanging out in your cupboards, you will probably be on board with this recipe. Just be sure you don’t eat the whole pan in one sitting – that would be counter-productive, dear. Thank Busy But Healthy for the full recipe and instructions. 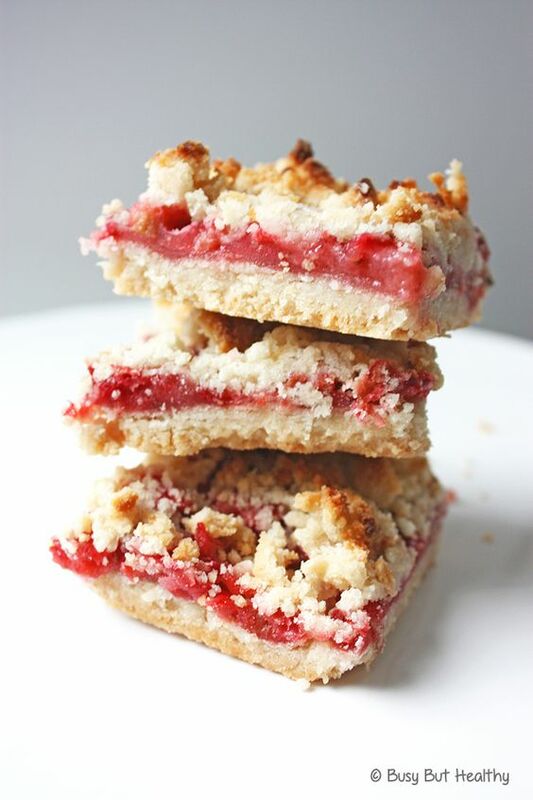 We’re just the middle man, happily eating rhubarb bars in the kitchen. 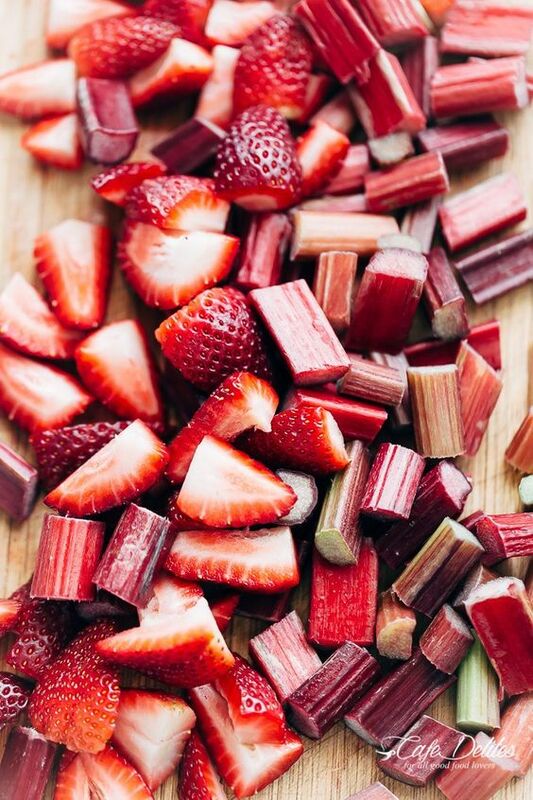 Strawberries don’t have an exclusive partnership with rhubarb. There are plenty of other fruits that pair well with this fruit and sweeten it up even more. If you can get your hands on Red Bartlett Pears (in season year-round), you’ve got another perfect match for this addictive crisp. We can add this one to our stockpile of skillet recipes! Add a little iron to your diet along with the fiber and vitamin C.
For the complete recipe and instructions, go to A Cookie Named Desire. Finally, the last recipe comes in healthy bite-sized portions. 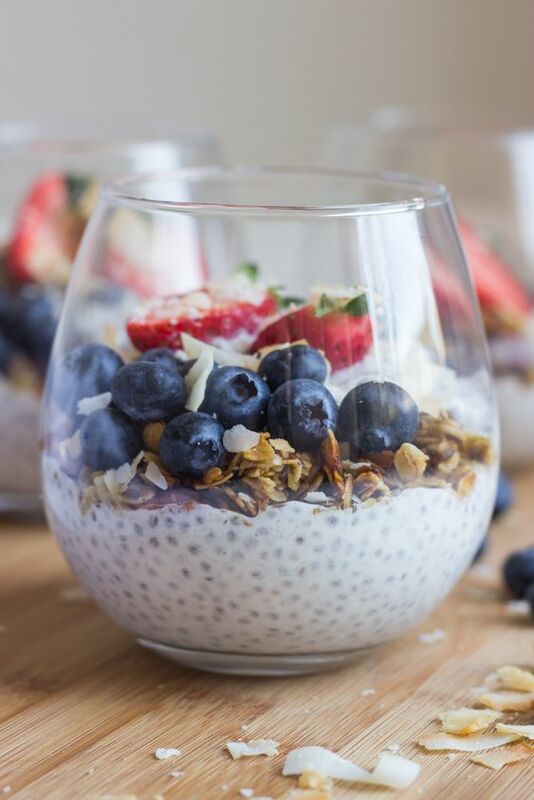 Chia seeds are used to thicken the jam, which is an added health boost we love! Check out our Chocolate No Bake Cookie recipe for more info on the major benefits of this tiny ingredient. These little bites are vegan and gluten-free and are perfect for snacking. Add this crowd-pleaser to your next barbecue, little miss hostess! See Will Frolic For Food for full recipe and instructions. When rhubarb is in season, buy it in bulk and save what you don’t use in the freezer. Freezing rhubarb is the smart girl’s trick for enjoying this tart-sweet fruit year round. Cut the stalks into one-inch pieces and lay them flat on a parchment-lined baking pan. Place the pan in the freezer for about an hour and then transfer the pieces to a freezer bag. 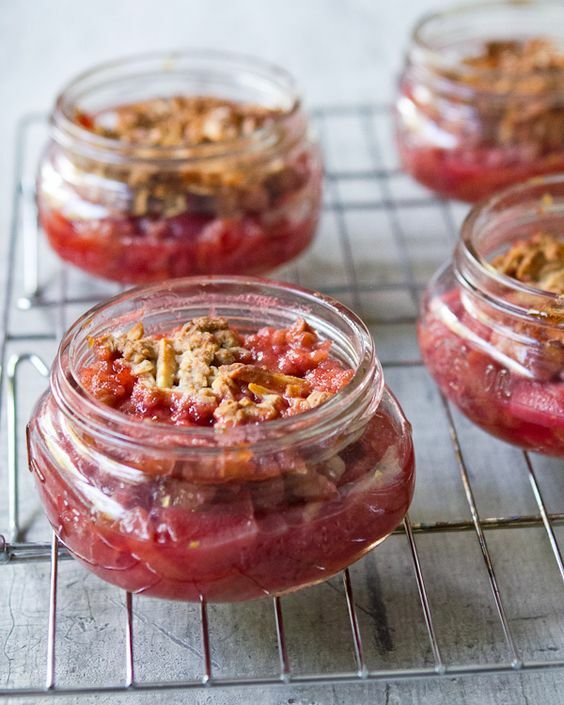 You can freeze them for about a year, which is more than enough time to surprise your guests with a rhubarb crumble over the holidays! Let us know which recipe is your favorite or if you’ve got another good one on hand. We’re obsessed!